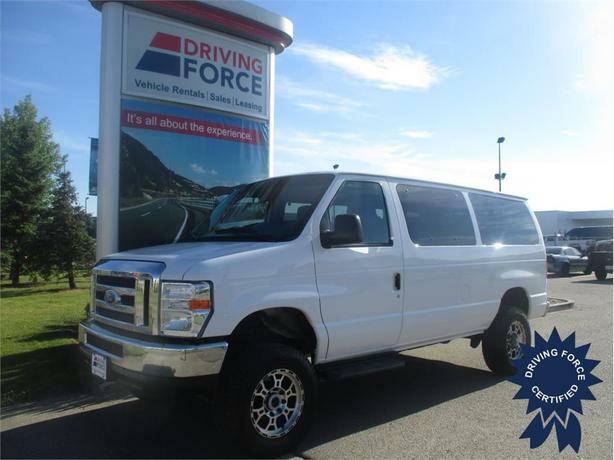 A well-rounded example of a classic passenger van, this Econoline comes exceptionally outfitted with seating for up to 12 passengers. It features a Quigley four-wheel drive system driven by 5.4-litre V8 with a four-speed automatic transmission. Additional features include air conditioning, AM/FM stereo with CD player, four-wheel disc brakes with ABS, cruise control, raised suspension with aftermarket rims, traction control, power windows and more.